Welcome to the website of Dr. Richard Barton where you may find information about our women’s health services and treatments. Women of all ages and walks of life can benefit from the services offered by our Downers Grove OB/GYN. Whether you are a young adult, an expectant mother or a matured women, Dr. Richard Barton is here to help women prepare for and anticipate the natural changes which come to women at different stages of their lives. Our personalized patient care services cover a wide variety of women’s health care needs. We offer comprehensive obstetrics and gynecology services that range from obstetrics to infertility, menopause and general gynecology, gynecologic surgeries and more. No matter what stage of life you are experiencing or your unique medical challenges, Dr. Richard Barton offers the complete set of medical services to meet your individual needs. In a positive, reassuring environment, Dr. Richard Barton can help to better inform women of their individual health needs. 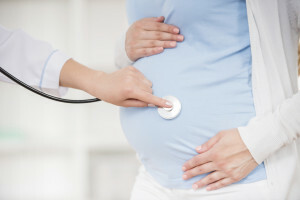 If you are looking for an obstetrics and a gynecology practice, Dr. Richard Barton offers his services to Dupage County, Chicagoland Suburbs, Downers Grove, Lisle, Darien, Lombard, Glen Ellyn, Woodridge, Naperville, Clarendon Hills, Hinsdale and surrounding communities to meet your unique women’s health needs. Our Downers Grove OB/GYN keeps at the forefront of the medical field to provide patients the best medical care services available. Dr. Richard Barton is here to provide professional medical expertise, insights and treatments for your unique women’s needs. If you have any questions or concerns about your health, our Downers Grove OB/GYN is available to consult about women’s health issues. It is our mission to safeguard your individual health care needs through compassionate health care services and medical expertise. Note: We are closed M-F from 12 PM to 1 PM for lunch, and our office is closed on all legal holidays. For after hour’s emergencies, please call 630-810-0358 and follow the prompts to speak to an after-hours representative. For non-emergencies please call during normal business hours and speak to a staff member. Thank you.